Character. Cost: 6. STR: 8. 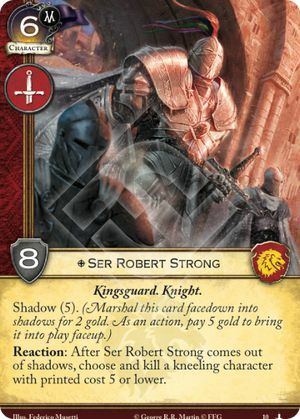 Reaction: After Ser Robert Strong comes out of shadows, choose and kill a kneeling character with printed cost 5 or lower.